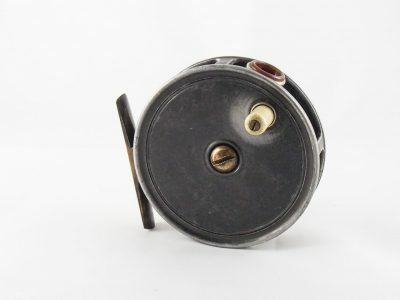 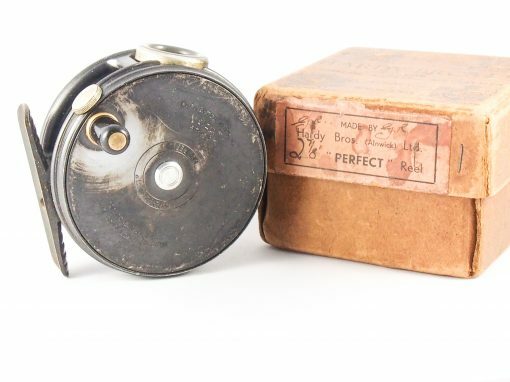 In superb original condition, with NO cracks chips or repairs, consisting of original ebonite handle, full length un-filed ribbed brass foot, nickel silver rim tension screw. 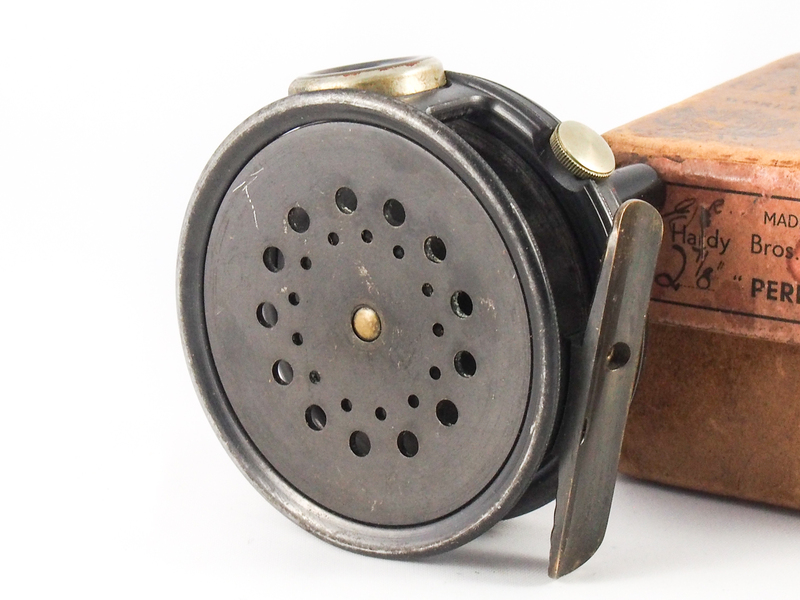 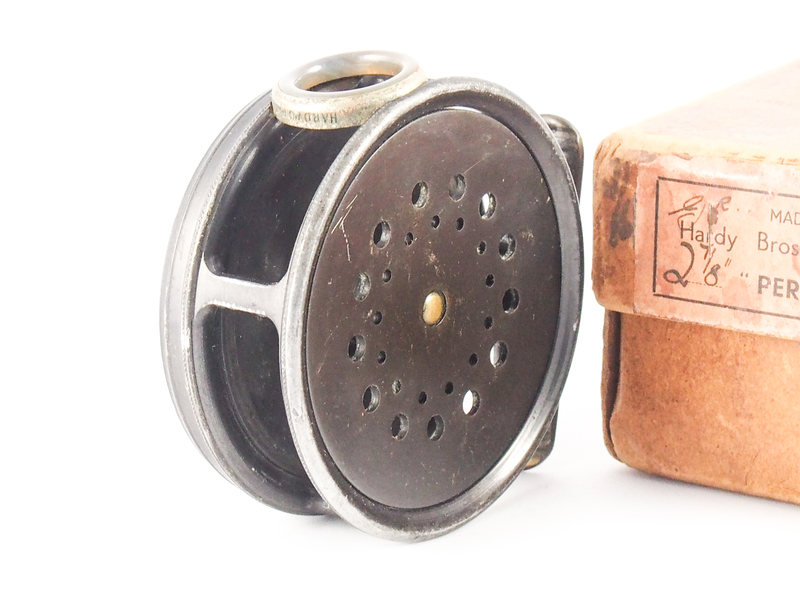 agate line guide with NO cracks or chips, original Hardy box and advertisement sheet. 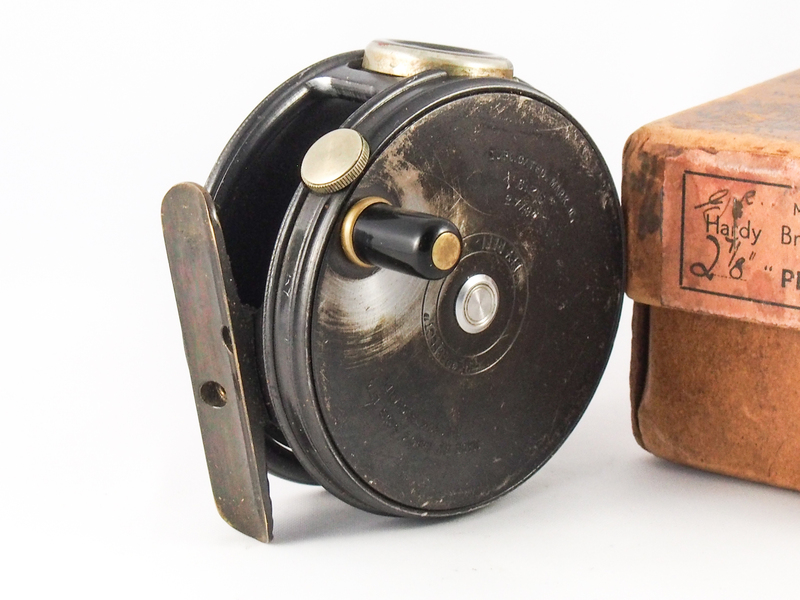 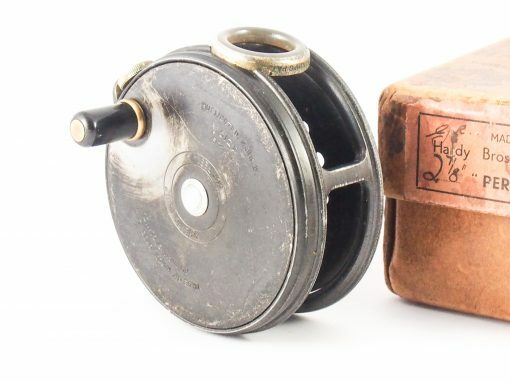 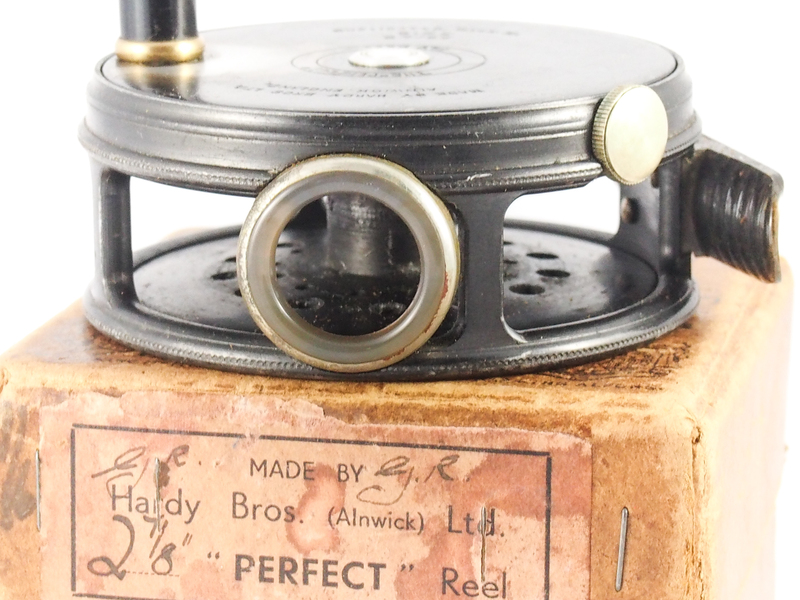 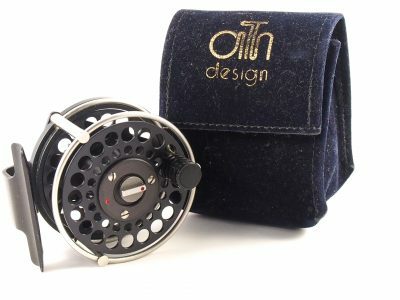 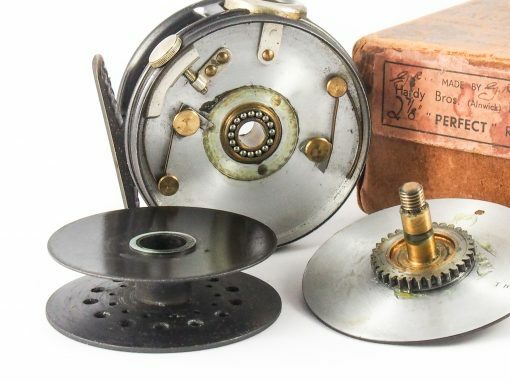 A great reel to fish with or add to your collection.